Erika’s career has been focused on changing people’s behavior. As the Director of Customer Insights for H-E-B, she leads a team charged with helping guide the development of H-E-B’s strategic vision and operational efforts by providing insights to change the business, gain share and establish preference for the company. Prior to joining H-E-B, Erika founded and ran her own consulting firm, ColectivaMente Consulting. As Chief Strategist, she guided clients through the research process and applied the knowledge gained through surveys and research groups to develop market action plans. Before her venture as a small-business owner, Erika served as the Director of Strategic Planning and Research for Garcia 360º in San Antonio where clients included KB Home, Minute Maid, Dial Corp., Audi USA, the Hispanic Scholarship Fund, New York life Insurance, The Puerto Rican Federal Affairs Administration, Las Vegas Convention and Visitor Authority, Harrah’s Entertainment, the Museum of Fine Arts, Houston and Blue Cross Blue Shield. Prior to this she was a Researcher for the Annenberg Public Policy Center at the University of Pennsylvania focusing on Latino voter efforts. Erika has also worked with the CDC on the VERB campaign aimed at decreasing obesity among tweens in America, specifically representing the Latino population strategy.This five year effort, as well as work to increase HIV awareness among Latinos, also with the CDC, is some of her proudest work. A migrant student from the Rio Grande Valley, Erika holds an M.A. from the University of Pennsylvania Annenberg School and two honors Bachelor’s degrees from UT Austin in Advertising and Plan II. She is an Executive Board member of the San Antonio Hispanic Chamber of Commerce, steering member of the SAHCC Latina Leadership Institute and a member of the H-E-B Corporate Diversity Council and Health and Literacy Task forces. 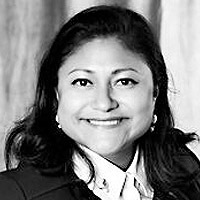 A Leadership Texas 2015 participant, she was also the 2010 AMET Exemplary Migrant Alumni, the 2011 Women’s Service Awards recipient by the Hispanic Chamber, and the 2012 Marketing Leadership Awardee by the La Prensa Foundation. She and her husband, San Antonio Councilman of District 8, Ron Nirenberg, have one son, Jonah.